How do I view the history of a record? Viewing the different versions of a record in the web app. 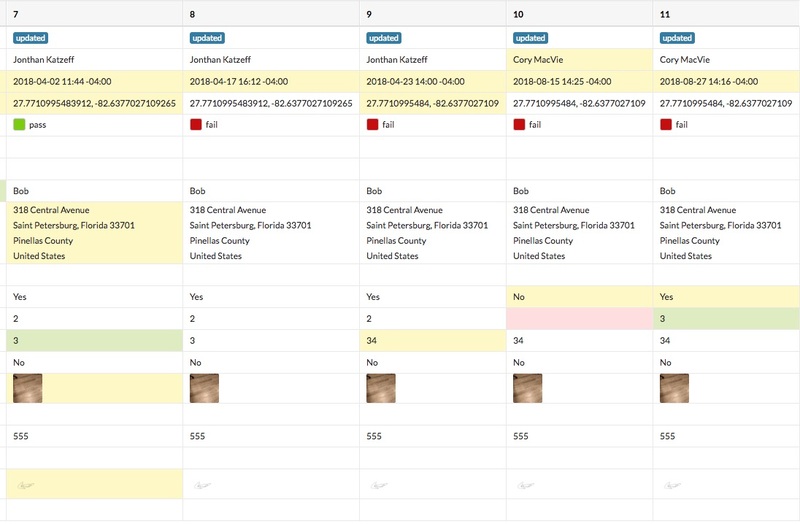 Record history allows users to see the historical changes to a record, from creation to the last change made. You can see how many versions a record has by looking under the version column in the split view or record list view on the web app. This version column will also be contained in data exports as one of the system fields. 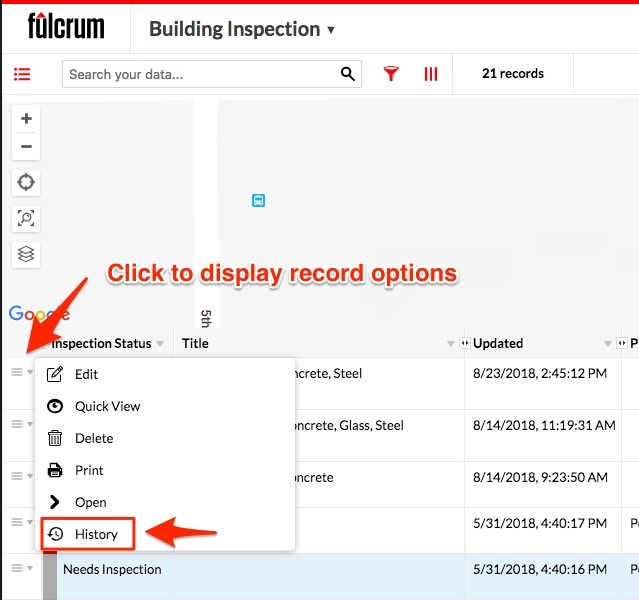 To view and link to a specific record, click the record options icon at the beginning of the relevant record’s row within the table of either the split view or table view on the record visualization page, and select ‘history’ from the menu. This will show a full history audit log of all changes made to the record since it was initially created. You can also access the record's history when viewing a record ('Quick' view or the 'Open' view). After clicking the overflow menu (three horizontal lines stacked vertically) you will see an option for view the history for that record.